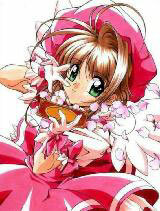 You are going to Watch Cardcaptor Sakura Episode 63 English dubbed online free episodes with HQ / high quality. Stream Anime Cardcaptor Sakura Episode 63 Online English dub Sakura, the Pool, and the Huge Wave, Sakura and her friends go spend the day at a new indoor water park, where Eriol causes the water to rise to dangerous levels. When Rika, who has trouble swimming, nearly drowns, Sakura uses the transformed Watery card to save her, risking being seen using her magic by everyone. However, it appears Eriol would have returned things to normal if Sakura was too late, making his motives unclear.